This is the most amazing thing of all. This is a 90 foot boat! It washed up with the storm. I know it doesn't look like it. 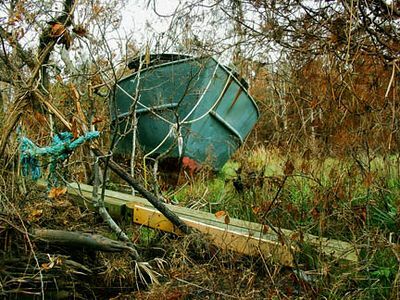 If Stephen had stood by the boat, he would have only come up a little past the rusty part.